Meghan Markle's fashion moves often draw a lot of comparisons to those of Princess Diana, but one of her latest looks appears to be a less-than-subtle tribute to her late mother-in-law. The duchess stepped out at a Cirque du Soleil performance in London earlier this week for a fancy date night with Prince Harry. 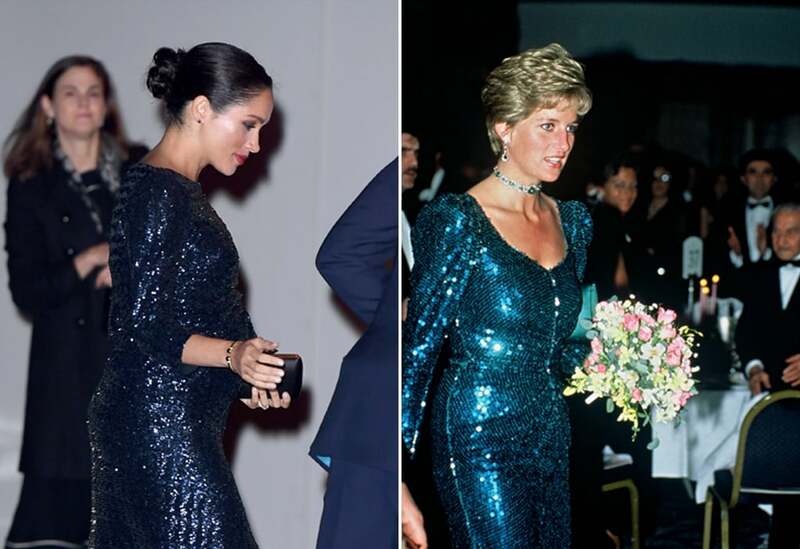 While out, she dazzled in a navy blue, sequined Roland Mouret gown that bore an astounding resemblance to the blue Catherine Walker gown that Princess Diana wore once during a visit to Austria in 1986 and again to a charity ball in 1990. That Meghan was low-key twinning with Princess Di doesn't seem to be much of a coincidence, since she also accessorized her gown with a gold bangle that once belonged to her. 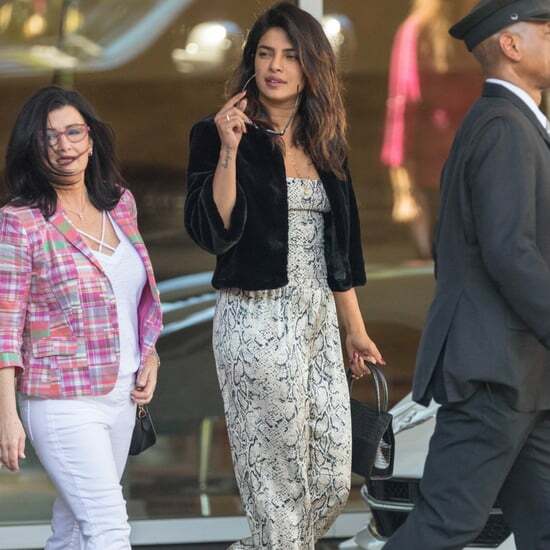 The style move comes just days after Meghan appeared in North England on Monday sporting an unconventional color combination that Diana also wore on more than one occasion during her royal outings. Keep reading to see more photos of Meghan's gown.